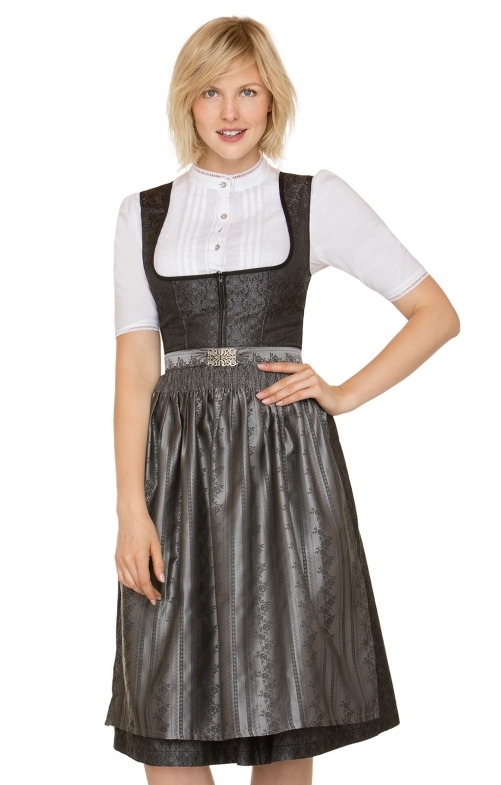 Midi dirndl Fabia for women by Stockerpoint in anthracite and slate. The traditional dirndl made of fine jacquard fabric impresses with its simple elegance. The bodice is lovingly crafted with a high-quality thread. The feminine, pleated skirt is stylishly finished and equipped with a side pocket. The colour matching apron is held by a, skilfully set in traditional costumes clasp.